Ready in seconds. 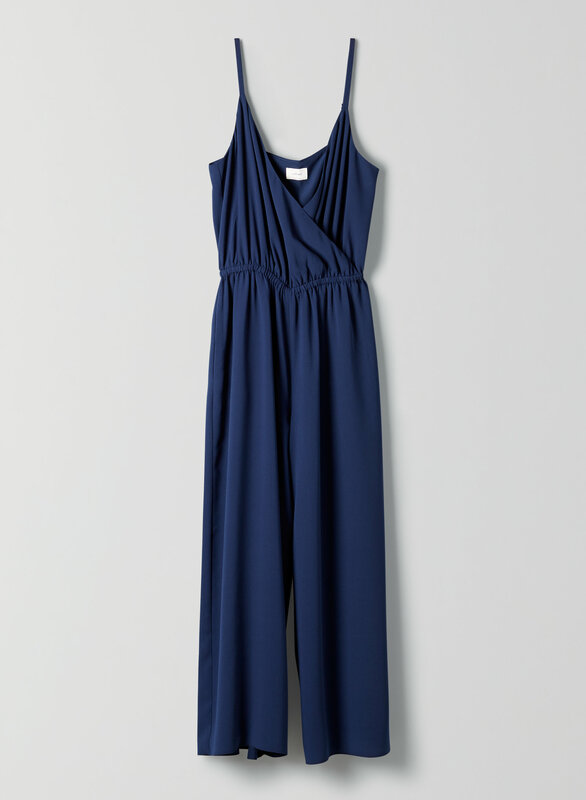 This is a sleeveless jumpsuit with a defined waist and V-neckline. It's made with a lightweight Japanese crepe that has a matte finish.